What delays are we running into most often? Is there anything we can do to sweeten the pot for prospects without touching prices? Make sure to do so at a team-wide meeting, so as to really open collaboration. As a group, dedicate at least 10-15 minutes toward brainstorming responses to both questions. Don’t just ask, accept a handful of answers and move on. 1. Being frank – and helpful – with prospects. 2. Offering incentives that complement your product or service. Selling software that manages sales incentives? Tell prospects that if they sign, you’ll include a gift certificate for a trip that they can give to an employee, or attach some other cool sales incentives. Require a signed contract by a certain date, or only make it so the incentive is available to the next three people who sign, to set a tone of urgency. This isn’t likely to make or break a deal, but it can keep one moving. 3. Uncovering prospects’ goals – and timelines for accomplishing those goals – as soon as possible. When is your prospect hoping to roll out your solution, or one like it? The sales rep in contact with that prospect should find out and then help to keep that timeline on track. Note: This one is only effective if the prospect’s timeline is important to them. Also, again, gentle communications work best. If a prospect is not on track to hit their deadline, you obviously don’t want your team members declaring their prospect as “behind” and adding to that stress; you want them acknowledging that they’re paying attention and offering to help. 4. Suggesting a timeline when necessary. Going off of #3, if there is no timeline, reps should suggest one. When would be ideal for that prospect to roll out your product or service? Any big team meetings or quarterly kick-offs coming up? Your rep can suggest that one of those events be paired with the launch of your solution, while also mentioning the benefit that this timing will bring. You and your team members can even attend that meeting or kick-off to get in front of the end users. This can be especially helpful if your industry has no seasonality to it — you can create a sort of seasonality. 5. Establishing how your solution will financially impact each prospect’s business. As soon as possible within the sales process, your sales reps need to establish the value that your solution will bring a prospect, tailored to that particular company’s needs. How can your team make financial impact? Why is it important that you do? Prospects need to see each day they don’t use your product as another that their business missed out on growth. Of course, everyone’s solutions and needs are different. Not all of these tips will apply to you. However, at the least, these questions and best practices will give you a great place to open team collaboration and coaching opportunities around moving deals. Time to schedule that sales meeting. Time to get deals moving. 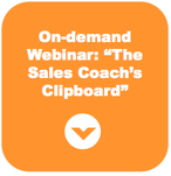 Here are a few sales coaching tips that can help you prepare your team to do that.